Police say the program uses geomapping to identify areas that have high incidences of crime and crashes. 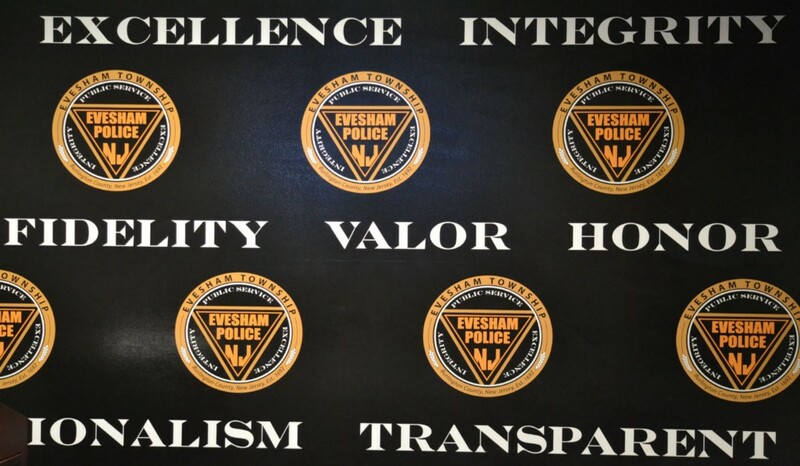 The Evesham Township Police Department is once again touting the success of its Data Driven Approach to Crime and Traffic Safety (DDACTS) initiative. According to police, DDACTS integrates location-based crime and traffic data to establish effective and efficient methods for deploying law enforcement and other resources. Using geomapping to identify areas that have high incidences of crime and crashes, DDACTS uses traffic enforcement strategies that play a dual role in fighting crime and reducing crashes and traffic violations. Drawing on the deterrent of highly visible traffic enforcement and the knowledge that crime often involves the use of motor vehicles, the goal of DDACTS is to reduce the incidence of crime, crashes, and traffic violations in Evesham Township. According to police, the department’s DDACTS operational model continues to prove to be an “effective and efficient manner” of addressing the most consistent social harms affecting in the Evesham community. Police officials say in the beginning of Phase VII of its DDACTS Deployment (Jan. 1 to Sept. 30) ETPD set aggressive goals to reduce crashes, shopliftings, burglaries and increase apprehension efforts towards those who continue operate a vehicle while under the influence of alcohol/drugs. As a result of the hard work and dedication of the men and women of ETPD, officials say Evesham motorists have seen 24 percent reduction in motor vehicle accidents and a 22 percent in reduction burglaries inside the DDACTS Zone. Also, during the past quarter alone, officers assigned to dedicated time conducting high-visibility enforcement in the DDACTS Zone were able to make three significant arrests due to their ability to quickly respond to a crime in progress. • An officer patrolling inside the DDACTS Zone was blocks away from a bank robbery in progress. Due to the officer’s quick response, he was able to locate the alleged bank robber fleeing the scene and make the arrest and recover all the stolen proceeds. • An officer patrolling inside the DDACTS Zone recognized three males exiting a cell-phone store who matched the description of a crew that had allegedly stolen thousands of dollars worth of cell-phones from dozens of stores in the tri-county area. Following a foot chase, vehicle pursuit and police K-9 track, the officers were able to arrest all three males. • An officer was proactively patrolling inside the DDACTS Zone when he conducted a business check in the Promenade Shopping Center. During that check, he observed three males alegedly in the act of burglarizing stores. Following a foot chase, the males were arrested, a stolen vehicle was recovered and countless burglaries were prevented.